A balance bike is a bicycle without pedals that helps children learn counterbalance and steering at an early age. It is the perfect first bike for any child. Mission Statement: Balance Bike delivers a fun, safe learning experience for young riders. Balance Bike is based out of Eagle, ID and ships products worldwide. 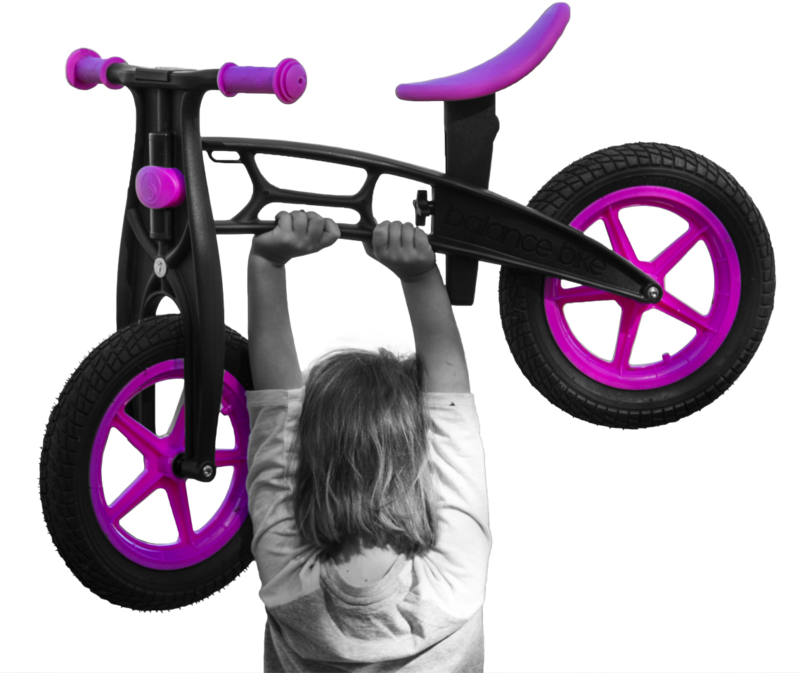 Here at Balance Bike, we are dedicated to producing and delivering safe, fun and high quality products that we know any child will love. Almost an entire year was spent working on perfecting Balance Bike and we are so happy to finally be able to share it with you. We decided to go into the balance bike business for multiple reasons. The number one reason? The creators of Balance Bike have little kids of their own who are about ready to start learning how to ride. As parents they understand the importance of a child developing these skills at a young age. They also understand that training wheels and tricycles just weren’t going to cut it anymore. Bicycles with training wheels distract children from the important part of biking…balance. They are also difficult to ride for long distances because they easily get stuck on rough surfaces and tip over while taking corners. It’s no surprise they are beginning to go out of style. Balance bikes are the best way for children to learn how to ride a bike, and let’s face it… who doesn’t want the very best for the little humans of our world? After all, they are going to be the one’s in charge of it one day. With the expertise of an MD, professional designers, parents and even the little ones who will be riding them, we have created what we believe to be the best first bike out there (we hope you agree!). So why do we think we are the best? Well, we did our research and found that there are quite a few balance bikes already available on the market, but we kept running into a problem. Every bike out there was either overpriced or of low quality. That kind of business may be good for profit, but what about you, the person who is actually buying it? Most people don’t want to spend an arm and a leg on their child’s first bike that will be outgrown after a few years. They also don’t want to buy a bike of low quality that isn’t going to last or be safe for their child. We knew that there had to be a way to produce a high quality bike that could be sold for a great low price. So that’s exactly what we did. Metal Balance Bikes are sold for $79.99 and are made using quality metal and pneumatic tires with rear brake. Each style of bike has a special feature such as rear-end handbrakes or water resistance. Currently, we have six original colors and are looking forward to adding more soon! Children will love picking out a style that fits them. At Balance Bike, we are constantly looking for ways to improve and keep up to date with the current trends. We are always eager to the next step in children’s bikes and can’t wait to have you by our side! Located in Eagle, ID, Balance Bike is surround by an active community and we have built our brand around the emphasis of giving children more chances to get outside and be active, as well as learn how to ride at a younger age. Whether it’s at the park, on the sidewalk, or through dirt trails, Balance Bike is proven to give children a fun tool to enjoy the outdoors.